What is BPMN Process Architecture? In this BPMN 2.0 interactive guide we take a look at Process Architecture. A Process Architecture consists of a set of inter-related process models, which are created on different levels of abstraction. This presentation will introduce a simple, three-layered model of a process architecture and the role of BPMN in creating corresponding process diagrams. 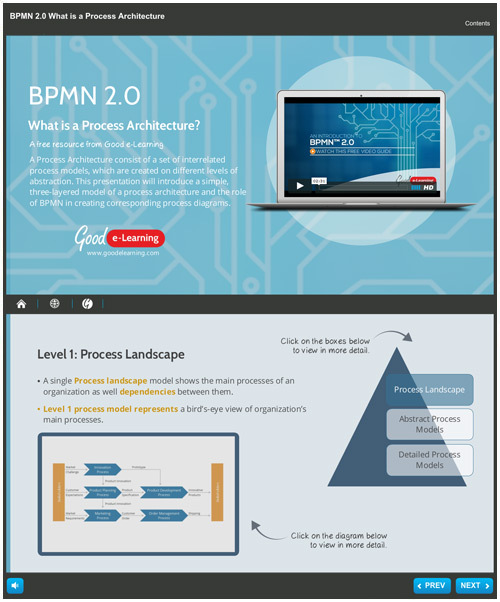 Download this BPMN 2.0 interactive guide today to see how Process Architecture can benefit both you and your organization.